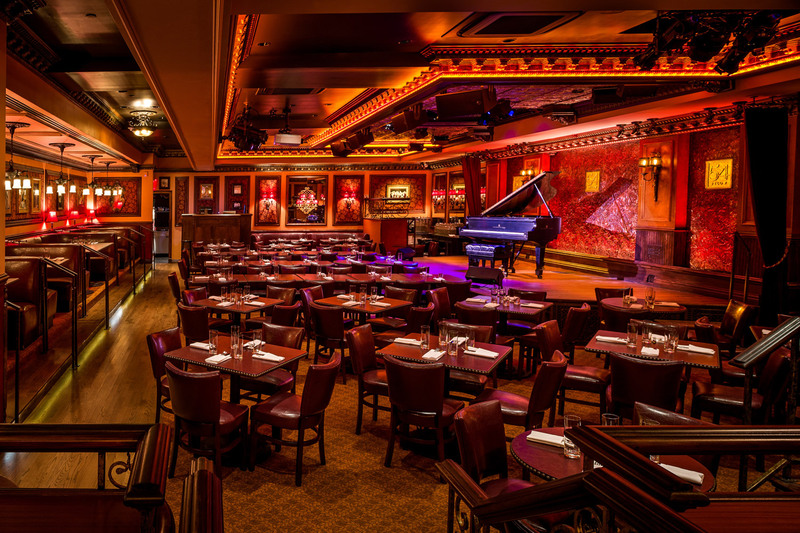 54 BELOW is an elegant performance venue in the grand tradition of NYC nightlife. The classically designed, state-of-the art nightclub is situated directly beneath the world-famous Studio 54. Featuring high quality food and beverages and exceptional acoustics, it has quickly earned a reputation as an important addition to NY’s club scene. 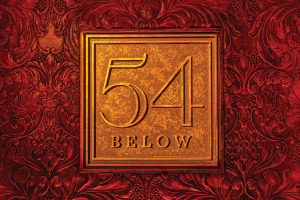 54 Below is designed for audiences of 160 persons, max. At just under 2,000 sq. ft., it is ‘sandwiched’ between two of Manhattan’s busiest subway corridors. The ceiling, already relatively low in this basement space, needed to be covered by a new dropped ceiling to conceal extensive air conditioning ductwork, waste and water pipes and wiring troughs. The sound system, designed by Tony nominee Peter Hylenski features Meyer Sound products, UPJs, 500-HP subs and UP4XPs. 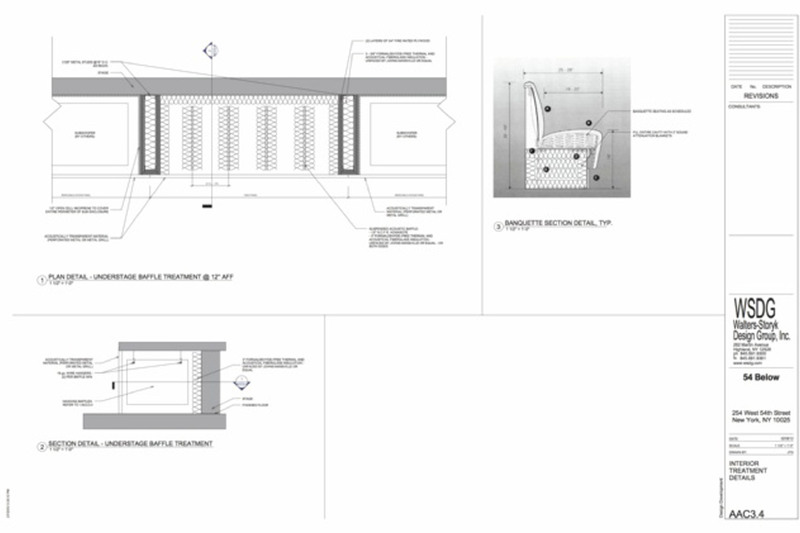 A smaller distributed system was designed to cover the bar area, bathrooms and hallways. A digital Avid SC48 was selected due to its flexibility and ability to store snapshots of acts. WSDG’s primary goal was to create a balanced reverberation time within the limits associated with club use and industry standards while intelligently addressing issues of noise. WSDG’s critical testing revealed that little additional isolation was necessary to address low frequency noise transmissions and physical rumble from the nearby subways. 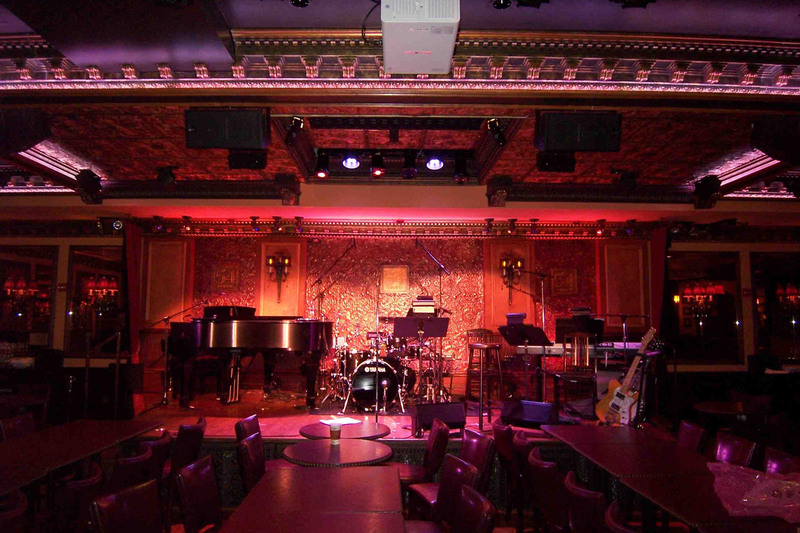 WSDG felt that the audience would accept moderate acoustic leakage as part of the “charm” of the NYC club-going experience, along with the murmur of a working bar and kitchen. However, a ‘high-pass filter’ was stipulated for use on the microphones in critical recording situations. 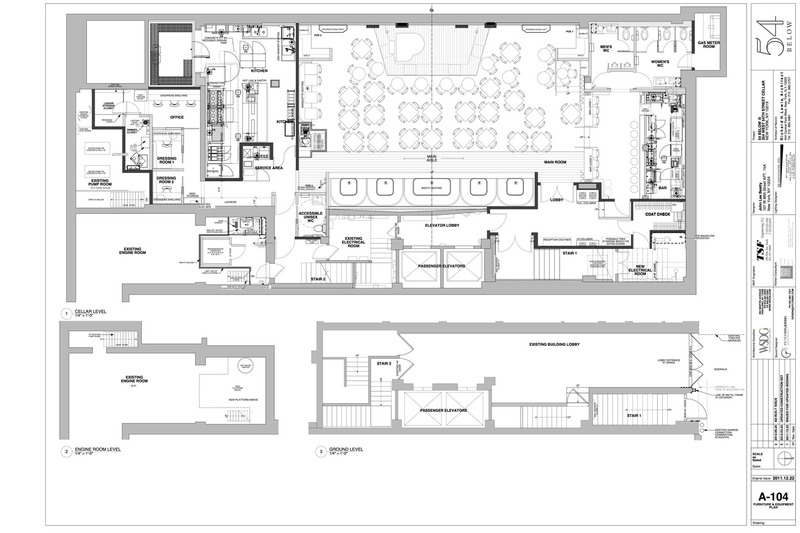 Additional layers of gypsum board were added to the ceiling, and partitions were recommended for areas adjoining kitchen, bathroom, lobby and electrical equipment closets. Acoustic door seals were stipulated to further aid in isolating sound leaks. Custom diffusion panels covered with stretched fabric and mounted in filigreed frames simultaneously enhance the room’s aesthetics while ‘tuning’ the space for maximum listening clarity and warmth. WSDG also contributed to the design of custom banquet seats, which incorporate low frequency treatments enabling them to serve as acoustic absorption elements.